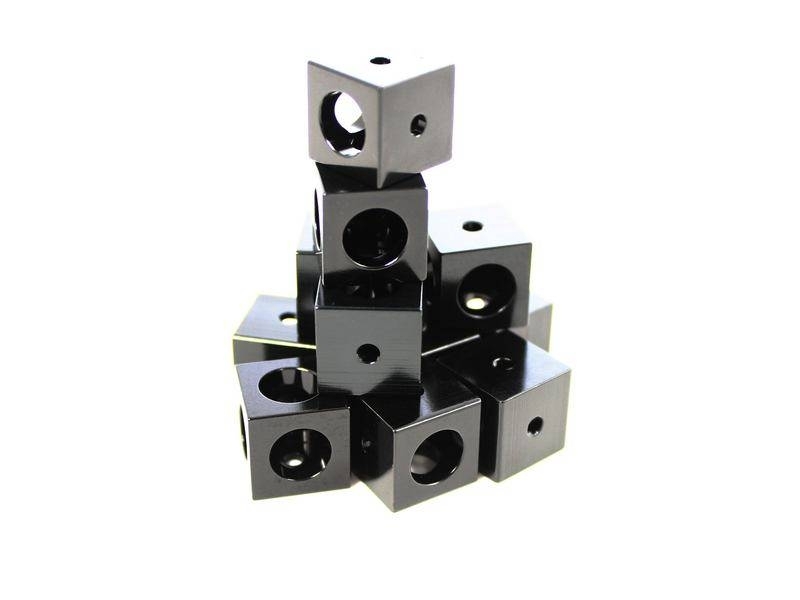 These corner cubes are designed especially to match MakerBeamXL and OpenBeam. 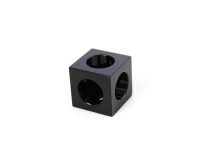 They measure 15x15x15mm. Regular screws, either hex head or button head screws (M3) can be used. MakeBeamXL already provide the required threads, but you do need to cut an M3 thread (tapping) into the OpenBeam hollow core for optimal grip. The bag contains 12 aluminum black anodised corner cubes. Not compatible with MakerBeam 10mm profiles as corner cube. 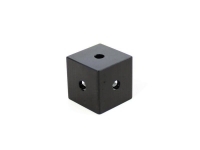 The 15mm corner cube can be used to combine MakerBeam and OpenBeam. For MakerBeam there is a 10mm x10mm x 10mm corner cube. This Product was added to our catalogue on Wednesday 28 May, 2014.